At 3:00pm on Saturday May 11, 2002; the Sgt. Robert Finch Camp No. 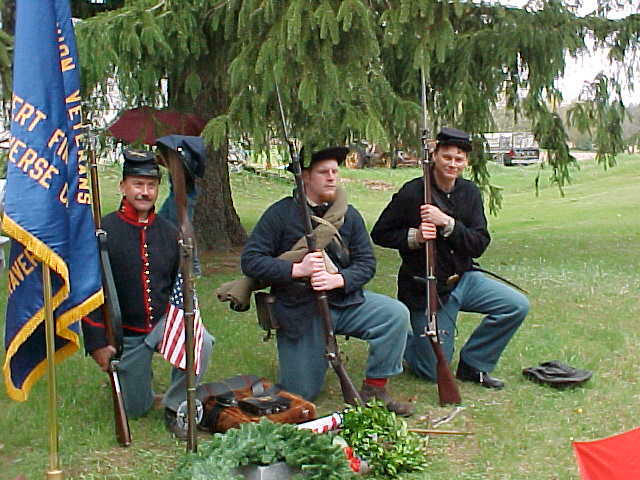 14 of Sons of Union Veterans of the Civil War were honored to be able to host the dedication of a new headstone at the grave of Private Wait Wright in the North Amber Township Cemetery in Scottville, MI . Camp Commander Jan White, Camp Secretary/Treasurer and Department Junior Vice Commander Neal F. Breaugh led out in the ceremonies which were attend by members of Camp No. 14 and approximately 60 ancestors of Private Wright. There were family members present from Howell and Macomb, Cass City, Snover, Standish, Kentwood, Wyoming, Muskegon, Kalamazoo, St. Johns, Portland, Mason, Dearborn Heights, Battle Creek, Big Rapids, and Bellaire, Michigan. 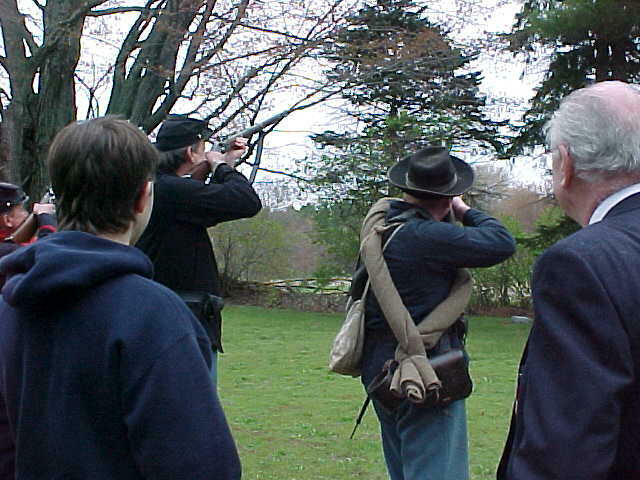 Our Camp would like to thanks to PDC Jim Lyons, Commander of Curtenius Guard Camp No. 17, of the Lansing/Sunfieldarea and Bill Lowe of General Benjamin Pritchard Camp No. 20 of Kalamazoo for providing us with the 1917 Service that was used by the Grand Army of the Republic. 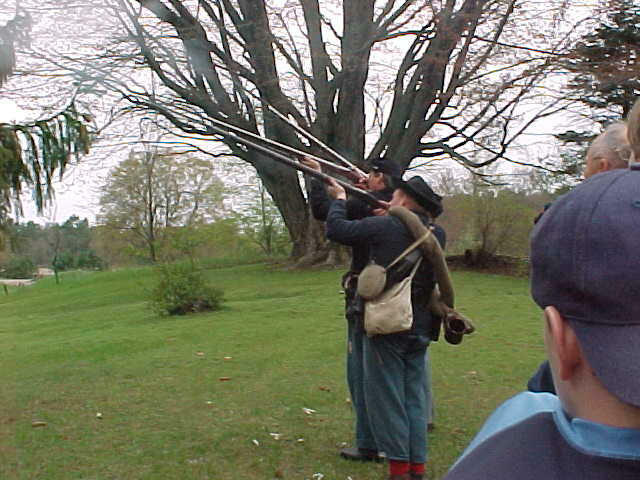 original musket used by Sgt. 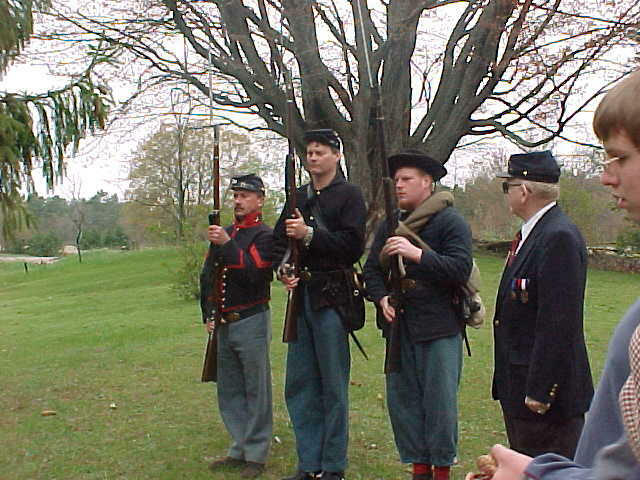 Robert Finch as a member of the 1st Michigan Sharpshooters in the Civil War. New Camp Flag of Robert Finch Camp 14; George Goodrich, Josh Kuckmuk, Bill Skillman. 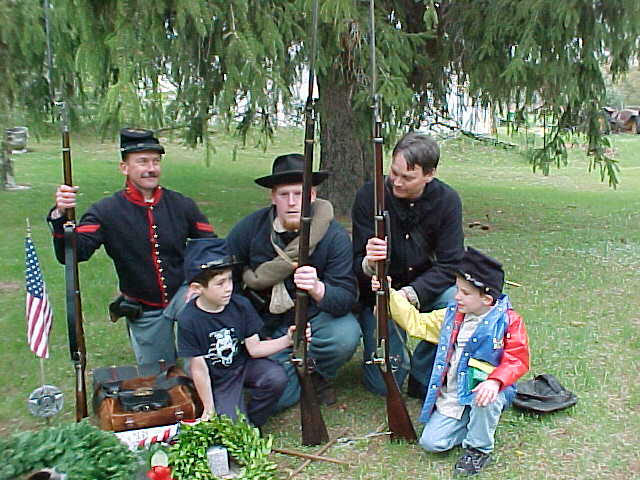 Musket with Kepi on it; Canteen, Haversack, and Knapsack. 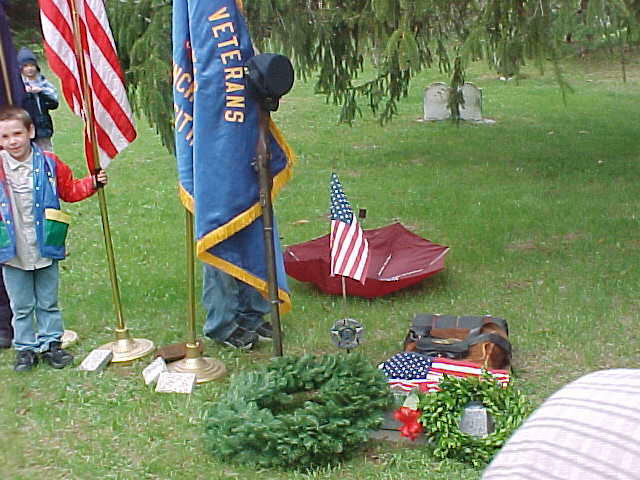 SUVCW Honor Guard at the headstone of Pvt. Wright with Michael Howard (left) Caden Shea (right) both are great, great, great, great grandsons of Pvt. Wright.